Today’s look is from Eva Pietruk from MadCatFashion, who lives in the UK. With this new look she shows you how to wear layers this winter. After all, the temperature differs a lot. Because the temperature differs a lot this winter, it’s a good idea to work with layers of clothes. In this look from Eva, you can see she choose for layers by wearing a poncho. 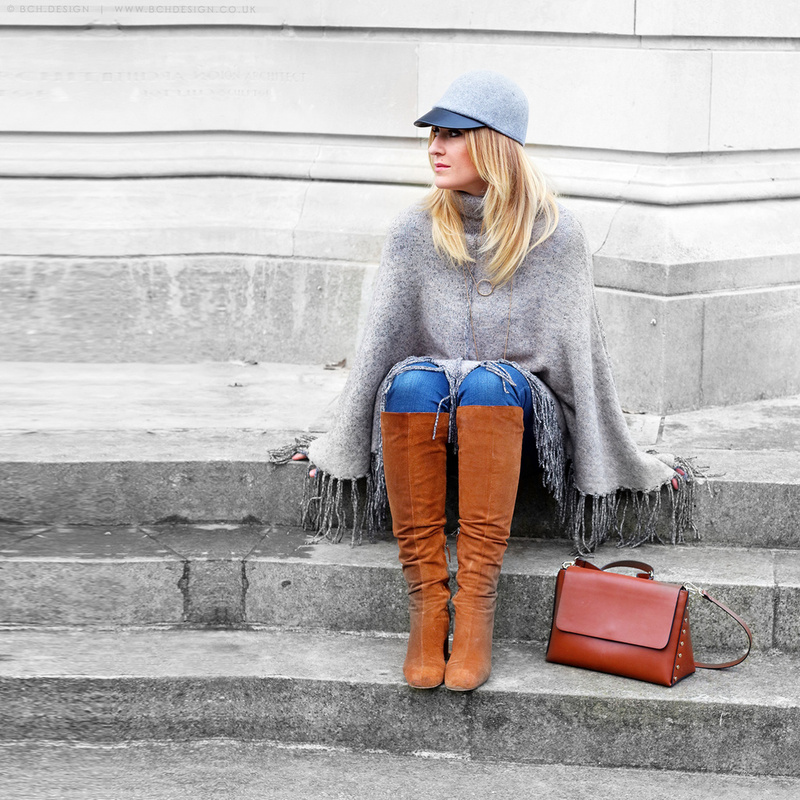 This casual and comfortable look is captured in a grey and cold Bournemouth (Eva hasn’t seen the sun for a week!). The total look is from Zara, but that cool grey hat is bought in a H&M in Poland. Matched with Eva her favourite suede whiskey boots from Zara. Eva told us that she hasn’t worn high heels for that long, but these boots from Zara are definitely the most comfortable boots ever! If you like my look you can easy shop it in here, just simply click that link and it will take you straight to the item you adore, ready to buy. Would you like to buy a (grey) poncho like Eva has? Take a look at this poncho or this poncho or this lovely poncho from Esprit.